Here you can listen Radio 2day München Station Broadcasting in German language.Its genres is Oldies & Classic Rock.It broadcasts very different types of styles of music basically incompatible side by side.This channel is located in München, Bayern, Germany. LORA München is basically political and partisan word Munich Station on which you can listen political , News , Information and Media News local and International.Its Genres are Community & Investigative which is broadcasting in German language.This station is located in Bayern, Germany.For contact purpose just call on +49894440436. Hitradio RT1 broadcasts from augsburg is basically a local FM station and it is for media group based in the Media Center Augsburg.Its transmission covers all the local area,the northern district of Landsberg and parts of the district of Donau-Ries.It has Licensed authority which is the the Bavarian Regulatory Authority for Commercial Broadcasting.Its genres including Top 40-Pop & Adult Contemporary. HitMix FM plays most requested and hit music including top songs in the world.Keeping up new release and fresh trends , including affiliate radio charts.You can listen mixed hour of party music from the 1980s and 1990s including music of Salt and Peppa, Culture Beat, CC Music Factory, Run DMC, Madonna, Prince and many more. EGO FM is a nice urope, Top 40-Pop & Rock Genre station broadcasting from München, Bayern, Germany.You can listen latest News , Social Events , Entertaining programs.It is broadcasting from Munich, Nuremberg, Augsburg, Regensburg and Würzburg. Bayern Plus Station main aim is promoting German folk and pop music included popular songs broadcasting from four decades that allow listeners to reminisce.You can listen news and weather reports 24/7 hrs online.It also discuss service information including issues of everyday life as Health, money and leisure.Uts genres is Adult Standards, Folk & Traffic. 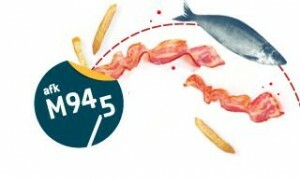 Afk M94.5 station broadcasts programs mainly in collaboration with students at the universities in Munich.Listen 2/7 Hrs live programs whose Genres are Modern Rock &College.This station is especially broadcasting for University students. Charivari 95.5 FM is the best station for trendy Munich and it is broadcasting best mix of 80s, 90s and the best current hits..You can listen latest National and International News , Current Affairs information , Weather updates, Traffic information and much more.Its genre is Adult Contemporary which is located in München, Bayern, Germany. Ostseewelle Hit is a private online station in Mecklenburg-Western Pomerania and its broadcasting center in Rostock.It started its services on 1 June 1995.It becomes most popular in very short span of time.Now 201 000 listeners listen live.Its transmitter is located in front of the private competitors.Its genres is Adult Contemporary and station is located in Waren, Germany. 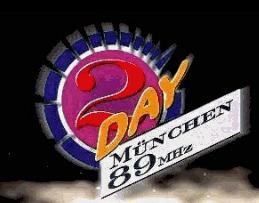 This is a local station broadcasting its live transmission from Germany and its online trans mission can be listen in Fantasy Augsburg and surrounding areas.It first broadcast on 21 March 1987 on frequency (92.2 MHz) and later on it changed to frequency 100.45.Its genres is Top 40-Pop and German Language.